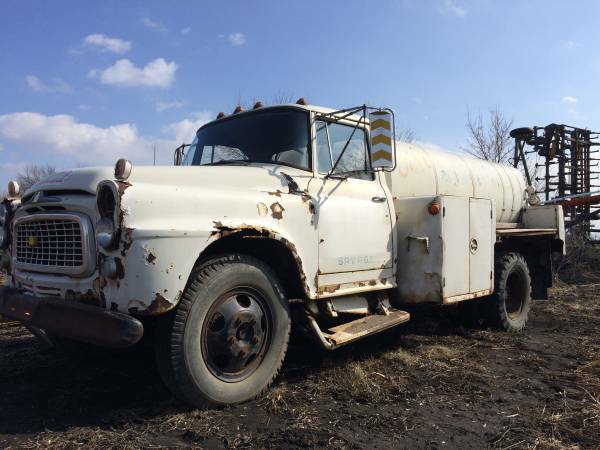 For sale I have a 1961 International Fuel Delivery tanker truck. The truck has spent its life on a farm since 1985 running fuel for tractors. It runs and drives good but only the hand brake works, foot brakes don’t work at the moment. Put an electric fuel pump on it last year for easy starting. Clean and clear title in hand. Also have new plates for it. Asking $1000 If interested please call Collin at Thanks.